Our Thanksgiving gathering wasn’t our typical holiday celebration. 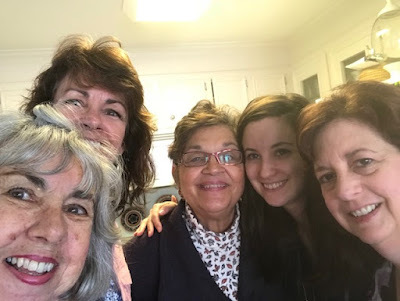 It started out routine enough – my brother-in-law’s deep-fried turkey, several cheese-filled casseroles, and dessert – lots and lots of dessert. But then, after we’d cleaned up the kitchen and sent the men into the living room to watch the Cowboys beat the Redskins, my friends and I (including my mom, who’s one of my best friends) spread newspaper on the table and began the funnest project I’ve ever done. 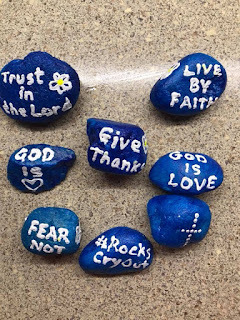 We painted #RocksCryOut rocks. 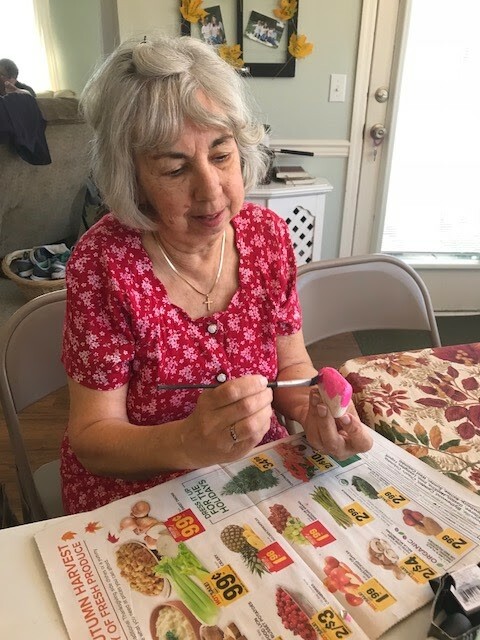 Each woman chose several smooth stones from the bucket, picked her favorite color paint, and went to work. Hadassah and I picked sparkly lavender, because, well, it’s the prettiest color of them all. Has been since my chubby, 2-year-old fingers could hold a crayon. Sue chose an electric orange, although she swore she wasn’t a Clemson Tiger fan. Karen chose Kermit the Frog green, and Mom picked pearly pink. After we covered the river rocks with paint and waited for them to dry, we used Sharpie markers to write short, inspiring Bible verses on them. “I have loved you with an everlasting love” (Jer. 31:3). “Give thanks to the Lord, for he is good” (Ps. 136:1). “When I am afraid, I will trust in you” (Ps. 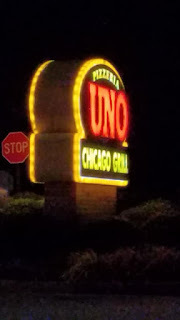 56:3). “We love because he first loved us” (John 4:19). “In him was life” (John 1:4). 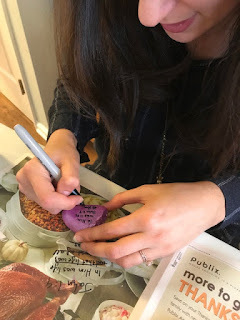 Then we added the hashtag #RocksCryOut to the back and sprayed them with a shiny acrylic coating to seal the colors and protect them from the elements. 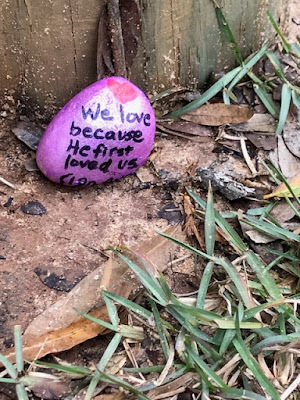 Each woman left with her painted rocks and a mission – to place them where others would find them – along walkways, near the entrances to public buildings, shopping centers, and businesses. Even my husband got in on the fun by offering to place several along the disc golf course he frequents. 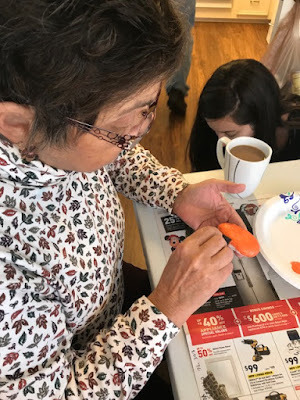 It wasn’t just a fun craft. Our afternoon activity was the official launch of the #RocksCryOut movement. 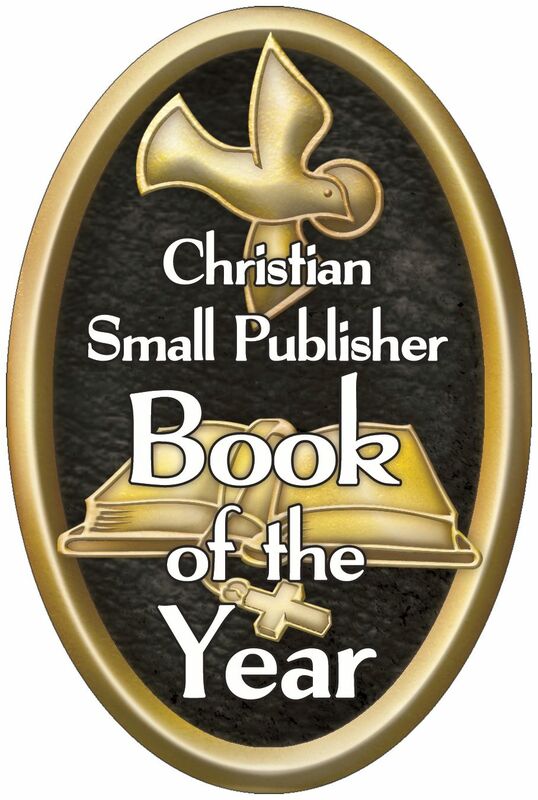 Based on the belief that God’s Word never returns void, but always accomplishes what it’s set out to do (Isa. 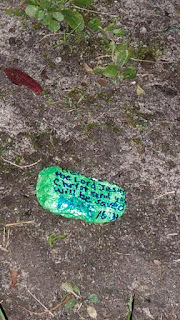 55:11), our mission is to scatter colorful, painted rocks with Scripture verses on them wherever we go. I’m asking God to bring each rock to the attention of a person who needs the encouragement of God’s Word – a divine rock encounter, if you will. Would you like to be part of the movement? It’s simple and inexpensive. All you need are smooth stones (I bought a giant back of rocks from a home improvement store for less than $5), acrylic paint (50% off at Hobby Lobby), Sharpie markers, and a can of acrylic sealer (I used my 40% off coupon, but hairspray would probably work just as well). The supplies cost me less than $20. Google “short Bible verses” and make a list of the ones you like best or use the ones I’ve shared above, then gather a few friends, a Sunday school class (kids LOVE this), AWANA group, or ladies ministry, and go to work. 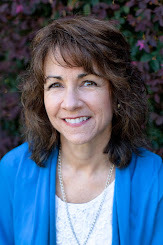 If you’ll be spending time with friends and family over the holidays (babysitting grandkids? 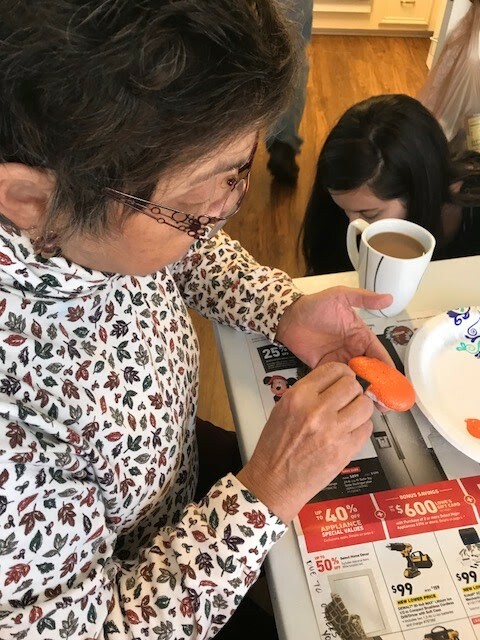 ), gather everything you need in advance and invite them to paint with you. 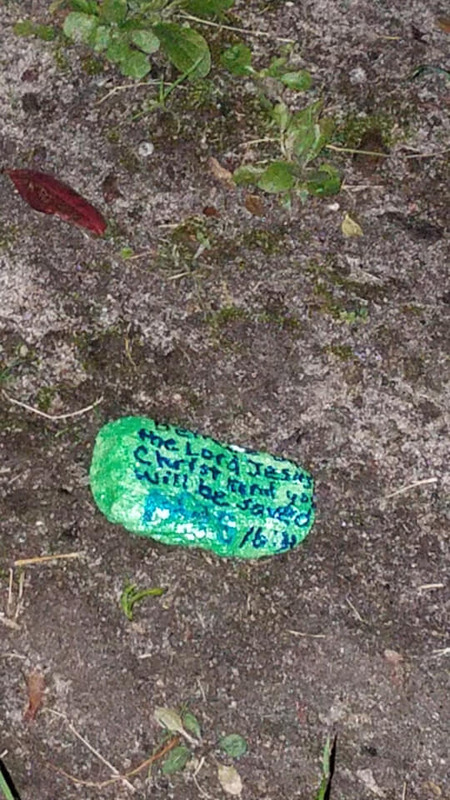 As you paint each rock, pray for the person who will find it. Ask God to use the verse you’ve chosen to speak truth to their heart and reveal himself to them. Remember, you don’t have to be an artist to paint a #RocksCryOut rock. 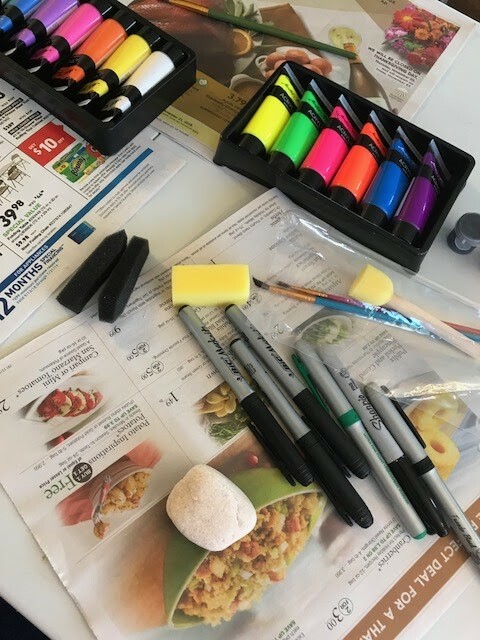 The goal isn’t to create a beautiful rock (although they are pretty). 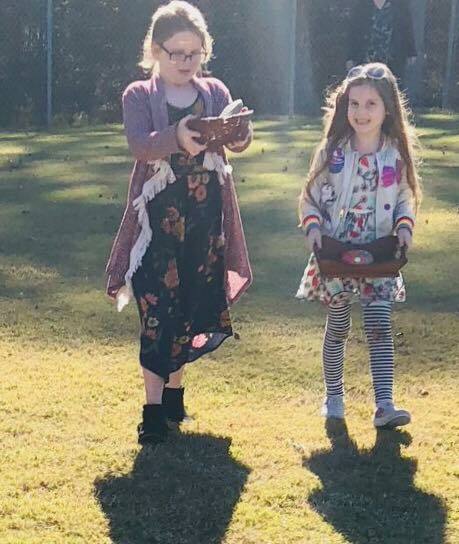 The goal is to share the beauty of God’s Word. An assortment of delicious desserts and coffee made our afternoon even sweeter, but isn’t required (smile). I left this rock by the sidewalk near our church. 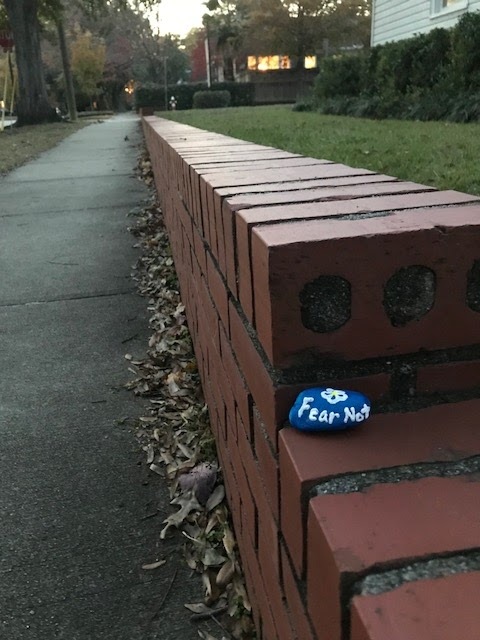 When your rocks are dry, place them on public property where they can easily be seen, then take a photo of them. Remember, unlike an Easter egg hunt, your goal isn’t to hide them, but to place them where people can easily find them. 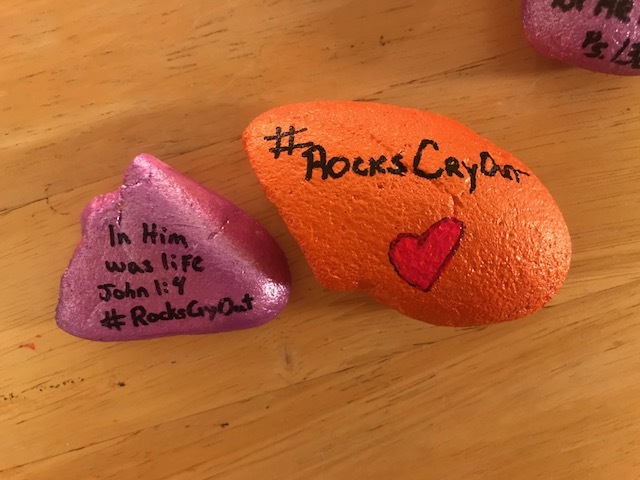 Then share your photo on social media with the hashtag #RocksCryOut. 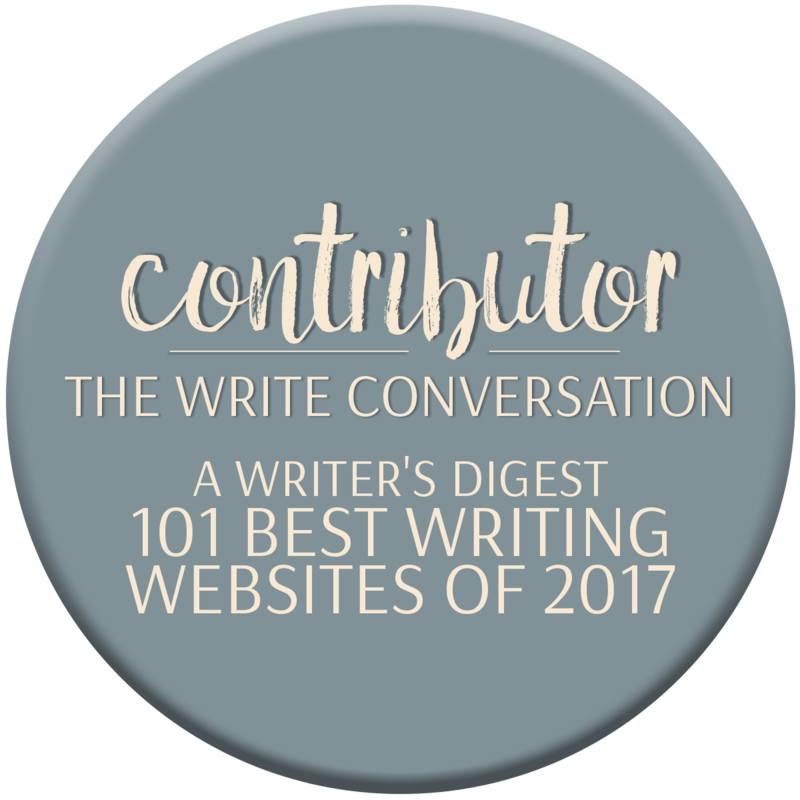 Link back to this post so others can catch a vision and join the movement. 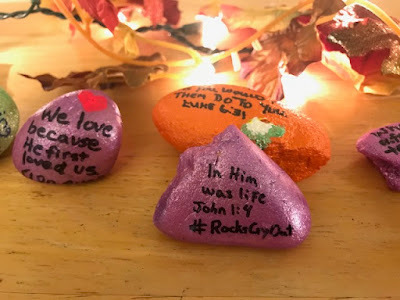 And if you’ll send me a photo of your painting party and/or your rocks and tell me where you placed them, I’d love to include it on my Hungry for God #RocksCryOut page and blog. 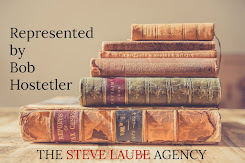 Email them to me at LoriAHatcher (at) gmail.com. I can’t wait to see what God is going to do in people’s lives as we share his Word this way. May God richly bless your efforts to shine the light of Jesus wherever you go! 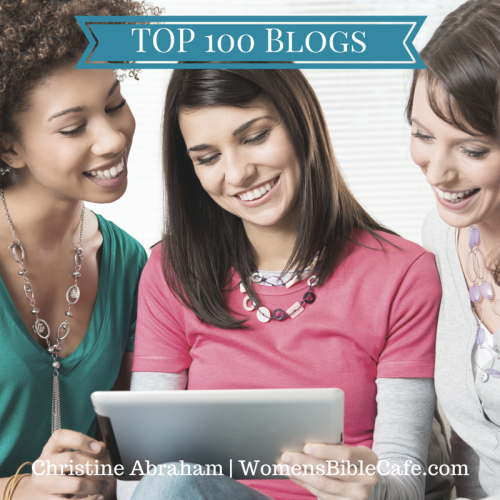 "I tell you," (Jesus) replied, "if they keep quiet, the rocks will cry out" (Luke 19:40). Lori Slice Hatcher they loved it! Rilyn wrote God loves you on the back of hers. 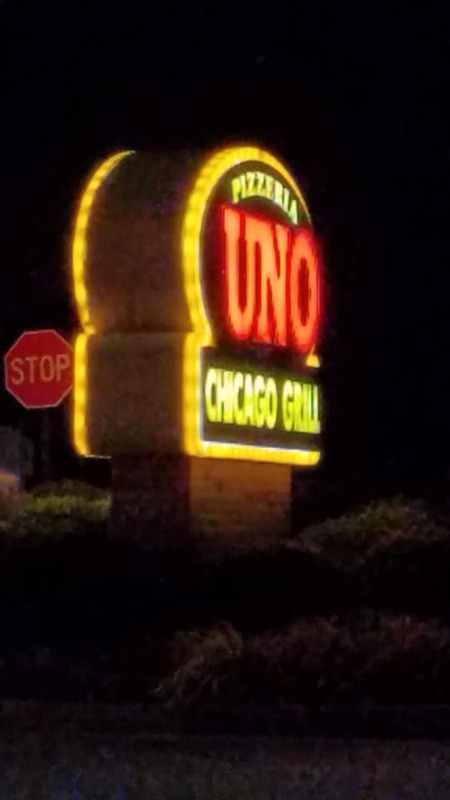 Thanks so much for a new tradition in our family! 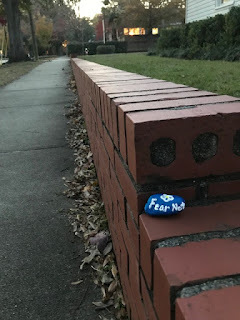 This friend placed her #RocksCryOut rock near her dentist office. If the dentist couldn't make them smile, they'll be smiling when they catch sight of this encouraging word! 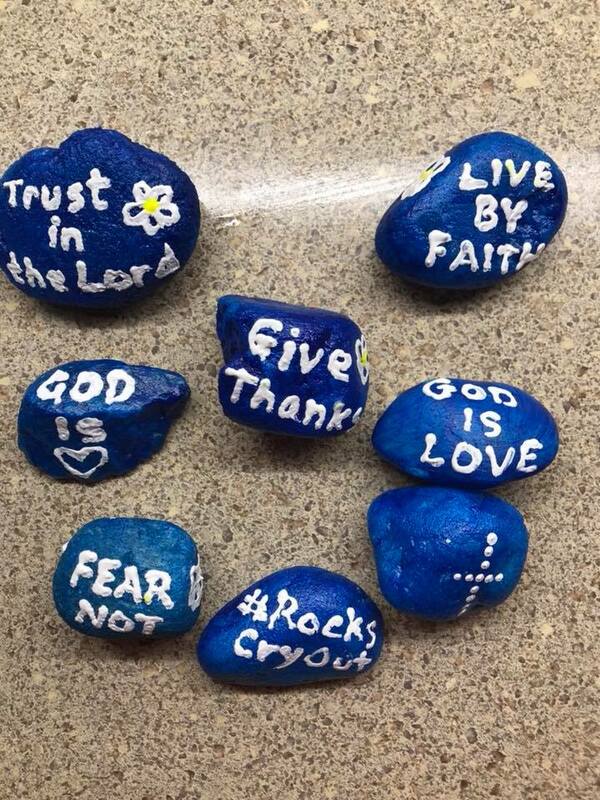 Lord, send these rocks to people who love blue and may be feeling blue. 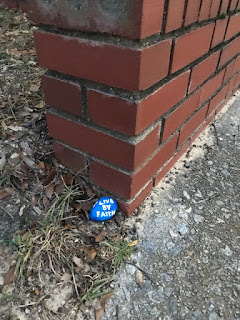 These two baby blue #RocksCryOut rocks are hiding in plain sight in the Shandon neighborhood near New Testament Baptist Church.